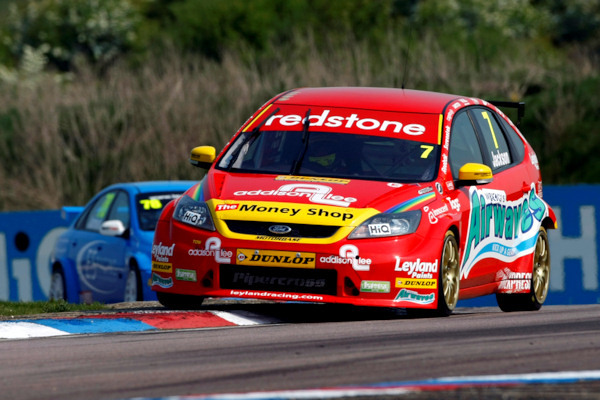 Mat Jackson heads to Knockhill this weekend as the championship leader for the first time in the independently entered Ford Focus ST, ahead of the manufacturer backed heavyweights of Honda and Chevrolet, and says he’s not surprised how well the Wrotham-based team have performed this season. Jackson enjoys an eight point lead in the BTCC standings over Honda Racing Team driver Gordon Shedden after a strong weekend three weeks ago at Snetterton, but has his eye on Chevrolet’s Jason Plato who is 20 points behind at Knockhill, fearing the light, normally aspirated Chevrolet Cruze will be the chief threat this weekend. “Leading the championship heading into the final leg of the championship is great and is testament to how well the car and team are working,” said Jackson. In relative terms, Plato will also be carrying 18kg of success ballast as the reigning champion is now in fourth place in the standings, so the difference in weight between the Focus and Plato’s Cruze will be 52kg going in qualifying and the first race, but Plato’s team-mate Alex MacDowall and the independent Cruze of Paul O’Neill which were also strong at Snetterton will benefit from no ballast at the start of the weekend. Jackson’s putting to the back of his mind the threat of Chevrolet and the two Hondas however, and aiming to continue his consistent points gathering strategy at Knockhill.